Joel Thomas Zimmerman (born January 5, 1981), better known by his stage name deadmau5 (pronounced "dead mouse"), is a Canadian progressive, electro, and house producer based in Toronto. His tracks have been included in compilation albums such as In Search of Sunrise 6: Ibiza, MixMag's Tech-Trance-Electro-Madness(mixed by deadmau5 himself), and on Armin van Buuren's A State of Trance radio show. His debut album, Get Scraped, was released in 2006, followed by others in the next few years. 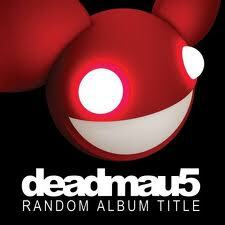 As well as his own solo releases, deadmau5 has worked alongside other DJs and producers, such as Kaskade, MC Flipside, Rob Swire of Pendulum, Skrillex, and Steve Duda under the BSOD alias. 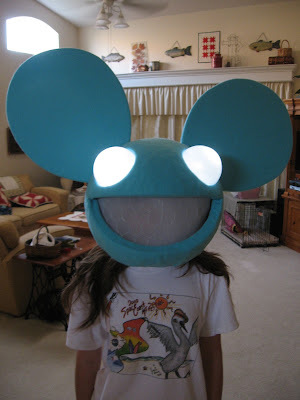 He is known for often performing in a titular costume head, which resembles a mouse head that he originally created while learning to use a 3D program. 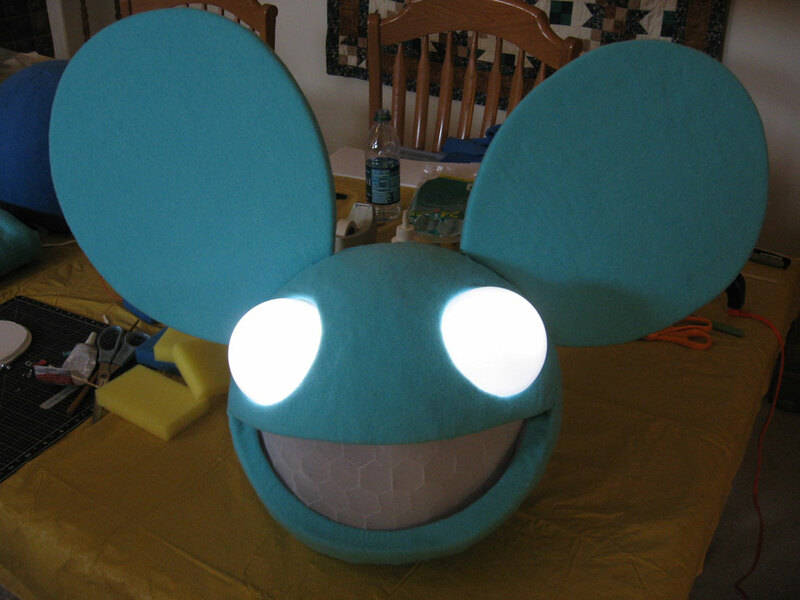 The so-called "Mau5head" appears in many different colors and designs, and has been shown on the cover of most of deadmau5's albums, with the exceptions of At Play and Vexillology. If you've followed my blog over the years, you know my kid is very much into the MegaCon, MetroCon and Anime Convention set. (Okay, she's a geek, but she calls herself that all the time, so it's okay for me to say it.) I don't think she's a geek myself. I find her rather cool in fact. I like that she's not mainstream and she has developed her own personal style in all aspects of her life. 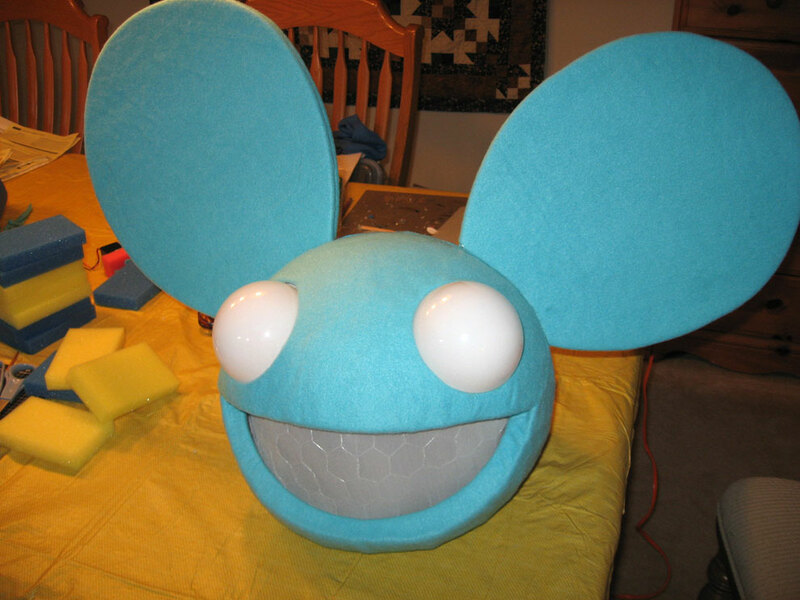 Back to the DeadMau5 thing. We have MegaCon coming up in a few weeks in Orlando (if you've ever watched Big Bang Theory, you know what I'm talking about) and she and a group of friends will go dressed up as Hetalia characters for the first part of the day, then she and one other friend will do a costume change and become DeadMau5 for the second part of the day. We've been creating these heads for the past two weeks, as time allows, and what a job it's been! I have a few photos, but not all the stages. ...and the opening for Jamie's head to go inside. 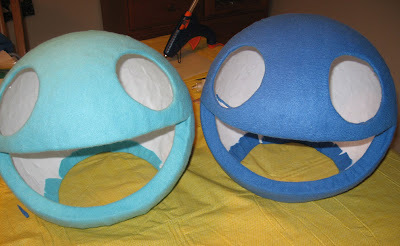 Then came the ears, each of which consists of two pieces of 1/4-inch foam board covered with fleece, supported with screws that extend and get screwed into the head from the inside, then sandwiched together with good strong glue. Here was the challenging part. Covering the heads with fleece. Now I'm a decent seamstress, but only because I can follow a pattern. 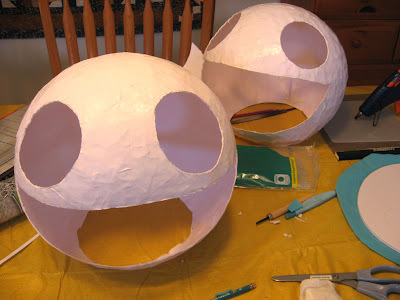 But taking a flat piece of fabric and trying to figure out how to cover a big round ball was something I've never done. Obviously, I figured it out that I had to make several pieces and join them with seams. I was pleased at how they turned out, but I have to say that it wasn't easy and I burned my fingers a lot with the hot glue while adhering it. We still have to line the inside of the head with sponges so it fits her more snugly, but Jamie is thrilled with them and can't wait for MegaCon. I can't either, because I know the response she and her friend will get from the MegaCon crowd will make it worth all the work that went into making them. Though I have never seen these before, they turned out great!! WOW Annette, that is somethin'! 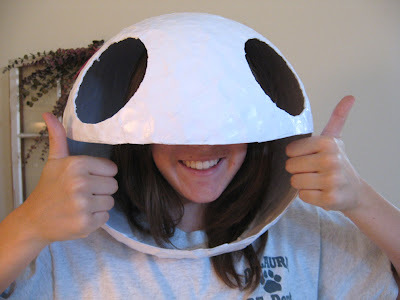 I think your daughter will have to take orders from other MegaCon fans for you to make these "heads" for them next year. You did an amazing job! Lucky daughter! WOW Annette, these are AWESOME my daughter is a self pro claimed geek as well, and would adore the chance to go to something like MegaCon. I think that all your hard work will be remembered always by your daughter! Annette thanks for edicating me on who Deadmaus5 is. I saw him on the Grammys and wondered who the heck is that. The heads are awesome, you should be very pround!! you did an amazing job on these! 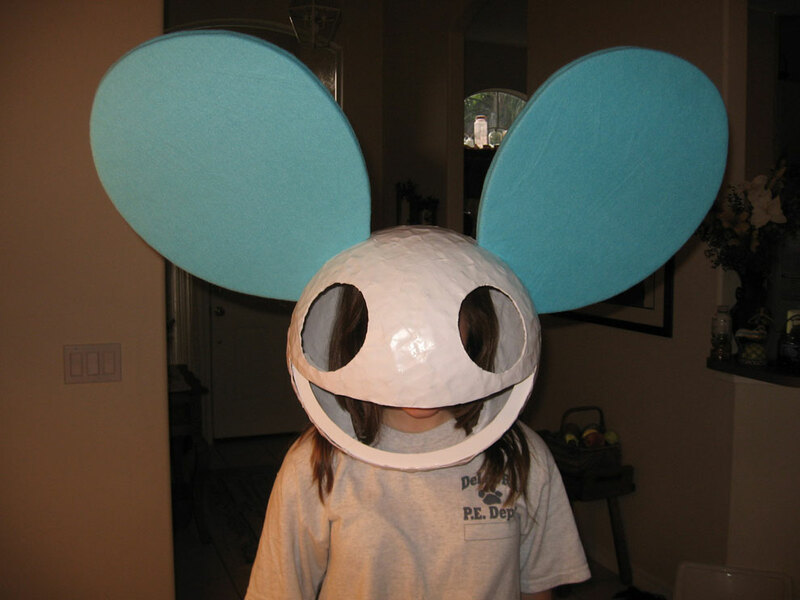 I actually had the pleasure of meeting your daughter (she took pictures with my brother, wearing a red deadmau5 head) and I was floored by how smooth you'd gotten the fleece. I noticed a seam down the middle of the back of the head and across the top with the ears, are there any other places you put seams as well? I can't see one on the front of the face and I was wondering how you got it so smooth. Thanks! To Julia. That's exciting you saw my daughter. I saw the photo of your brother that Jamie took. That was so cool! It was really hard to get the fabric smooth, but fleece makes it a little easier because it stretches and conforms nicely. There were a total of four pieces. Two in the back of the head, one under the mouth that stretched around to each side of the face, and one piece above the mouth for the upper face area. That was tricky, but I just kept stretching and shaping and it worked out pretty good. Thanks for your comment. Hope you had fun at MegaCon. Annette, you are such a cool mom! I've been to MegaCon before (well, only because there was a stamping thing on the 2nd floor of the convention center at the same time) and the effort these people put into their costumes is fantastically mind blowing. Hope your daughter had a blast.